My what a difference a recall election makes. Wisconsin is now considered a swing state. Battleground state or the Scott Walker bump … in any event Barack Obama now behind in a state that he won by 14% in the 2008 Presidential election. For the first time in the Rasmussen poll Mitt Romney has a lead in the Wisconsin polls. Romney leads 47% to Obama’s 44%. This poll follows the failed labor union and Democrat recall election to oust Republican Gov. Scott Walker from office. 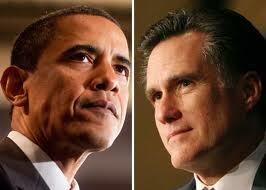 Last month, the poll numbers were Obama 49%, Romney 45% and in March Obama was up by 11%. One also has to wonder just how much union support Obama will receive in the 2012 campaign in Wisconsin when he all but abandoned them during the recall election? Mitt Romney now leads President Obama for the first time in Wisconsin where the president’s support has fallen to its lowest level to date. How difficult will reelection be for Barack Obama? When Obama wins a state like Wisconsin in 2008 by 14% and is now behind in a respected poll, Team Obama has to take pause for concern. If Wisconsin is in play, one has to wonder what other states are as well? As stated at Powerline, their “guess is that this is not the last formerly-safe for Obama state that will be in play between now and November.” Agreed! If Obama loses Wisconsin in 2012 Romney will win going away as other states will fall like Iowa, Missouri, Ohio, North Carolina, Virginia and possibly Michigan and Pennsylvania.